It's warming up (at least once in a while). 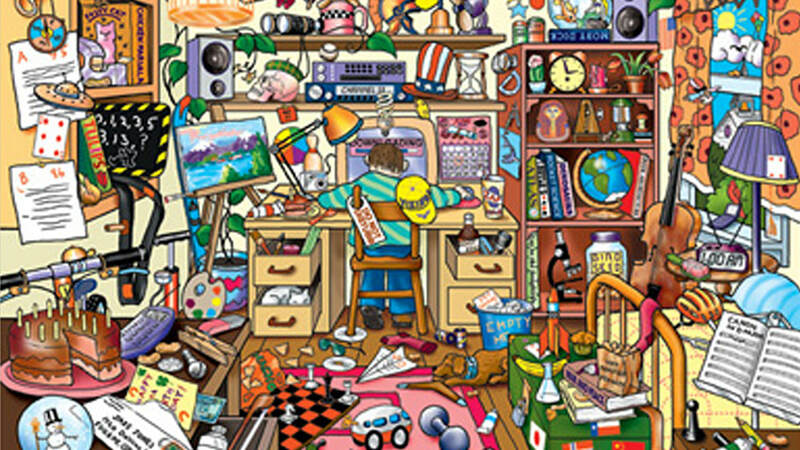 Soon it's time for Spring Cleaning. ACTS is here to help. 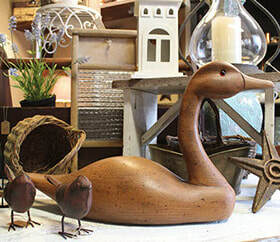 Bring your clutter to ACTS for expert resale that helps buys food for families in need. And we'll pick up the large items, such as that man-cave Barcolounger recliner with cup holders and snack storage that is way too big for your house. Call ACTS to schedule a pick up. 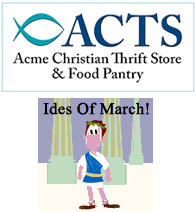 No need to beware the Ides of March at ACTS. On March 15, we still offer the best resale experience. Ever! Have you used ACTS purchases in creative ways? We'd love to hear from you. Please share your story as a comment here or contact us at actsstorepantry@gmail.com or 231-938-2990. Here is a note from Gary Chenoweth, who is the ACTS President. He has been an ACTS Pantry volunteer for five years and Board member for four years. Gary and wife Mary reside in Millers Park in Elk Rapids and are both members of New Hope Community Church. Much has sold in our Bridal Boutique, but meanwhile we have received more dresses. Great bargains for weddings and also exquisite fabric to make something special.